Mao AS, Shin JW, and Mooney DJ. 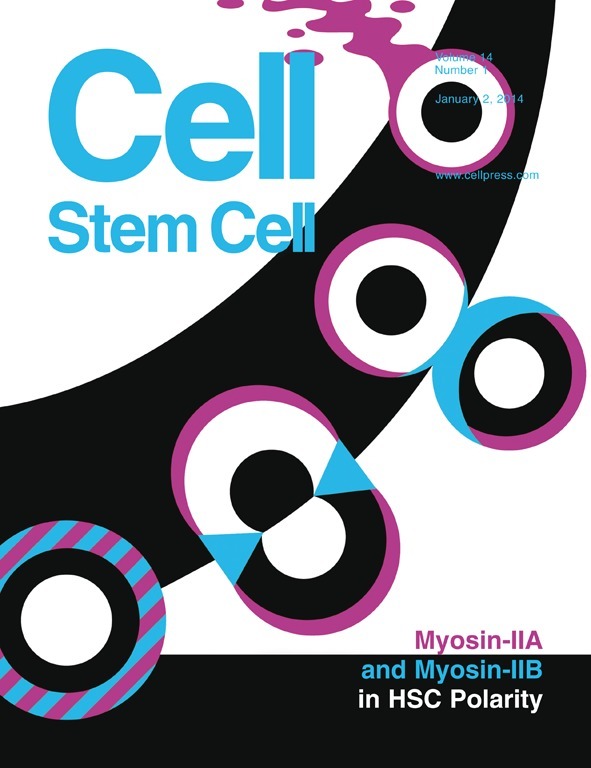 Effects of substrate stiffness and cell-cell contact on mesenchymal stem cell differentiation. Biomaterials 98: 184-191 (2016). Chaudhuri O, Koshy S, Branco da Cunha CB, Shin JW, Verbeke CS, Allison KH, and Mooney DJ. Extracellular matrix stiffness and composition jointly regulate the induction of malignant phenotypes in mammary epithelium. Nature Materials 13: 970-8 (2014). Buxboim A, Irianto J, Swift J, Athirasala A, Shin JW, Rehfeldt F, and Discher DE. Coordinated increase of nuclear tension and lamin-A with matrix stiffness outcompetes lamin-B receptor that favors soft tissue phenotypes. Mol Biol Cell 28: 3333-48 (2017). Spinler KR, Shin JW, Lambert M, and Discher DE. Myosin-II repression favors pre/pro-platelets, but shear-activation generates platelets and fails in macrothrombocytopenia. Blood 125: 525-33 (2015). Buxboim A, Swift J, Irianto J, Spinler KR, Dingal PC, Athirasala A, Kao YC, Cho S, Harada T, Shin JW, and Discher DE. Matrix elasticity regulates lamin-A,C phosphorylation and turnover with feedback to actomyosin. Current Biology 24: 1909-17 (2014). Swift J, Ivanovska IL, Buxboim A, Harada T, Dingal PC, Pinter J, Pajerowski JD, Spinler KR, Shin JW, Tewari M, Rehfeldt F, Speicher DW, and Discher DE. Nuclear lamin-A scales with tissue stiffness and enhances matrix-directed differentiation. Science 341: 1240104 (2013). Suzuki A, Shin JW, Wang Y, Lian L, Zhao L, Min SH, Discher DE, Poncz M, Choi JK, Carpenter C, and Abrams CS. RhoA is essential for maintaining normal megakaryocyte ploidy and platelet generation. PLoS ONE 8: e69315 (2013). Kruse K, Lee QS, Sun Y, Klomp J, Yang X, Huang F, Sun MY, Zhao S, Hong Z, Vogel SM, Shin JW, Leckband DE, Tai LM, Malik AB, Komarova YA. N-cadherin signaling via Trio assembles adherens junctions to restrict endothelial permeability. Journal of Cell Biology 218: 299-316 (2019). Harada T, Swift J, Irianto J, Shin JW, Spinler KR, Athirasala A, Diegmiller R, Dingal PC, Ivanovska IL, and Discher DE. Nuclear lamin stiffness is a barrier to 3D-migration, but softness can limit survival. Journal of Cell Biology 204: 669-82 (2014). Raab M, Swift J, Dingal PC, Shah P, Shin JW, and Discher DE. Crawling from soft to stiff matrix polarizes the cytoskeleton and phospho-regulates myosin-II heavy chain. Journal of Cell Biology 199: 669-83 (2012). Shin JW, Nguyen KT, Pow DV, Knight T, Buljan V, Bennett MR, and Balcar VJ. Distribution of Glutamate Transporter GLAST in Membranes of Cultured Astrocytes in the Presence of Glutamate Transport Substrates and ATP. Neurochemical Research 34: 1758-66 (2009). Nguyen KT, Shin JW, Rae C, Nanitsos EK, Acosta GB, Pow DV, Buljan V, Bennett MR, Else PL, and Balcar VJ. Rottlerin Inhibits (Na+,K+)-ATPase Activity In Brain Tissue And Alters D-Aspartate Dependent Redistribution of Glutamate Transporter GLAST in Cultured Astrocytes. Neurochemical Research 34: 1767-74 (2009). Palombi O, Shin JW, Watson C, and Paxinos G. Neuroanatomical affiliation visualization-interface system. Neuroinformatics 4: 299-317 (2006). Nanitsos E, Acosta G, Saihara Y, Stanton D, Liao L, Shin JW, Rae C, and Balcar V. Effects of glutamate transport substrates and glutamate receptor ligands on the activity of Na-/K(+)-ATPase in brain tissue in vitro. Clinical and experimental pharmacology & physiology 31: 762-9 (2004). Ivanovska IL, Shin JW, and Discher DE. From matrix elasticity and contractile polarization to nuclear lamina remodeling in fates of marrow stem cells – a need for nano-physical characterizations. Trends in Cell Biology 25: 523-32 (2015). Ivanovska IL, Swift J, Irianto J, Spinler KR, Shin JW, Buxboim A, and Discher DE. Nuclear imaging in mechanobiology. Handbook of Imaging in Biological Mechanics. Chapter 32. CRC Press (2014). Swift J, Harada T, Buxboim A, Shin JW, Tang HY, Speicher DW, and Discher DE. Label-free spectrometry exploits dozens of detected peptides to quantify lamins in wildtype and knockdown cells. Nucleus 4: 450-459 (2014). Shin JW and Discher DE. Cell culture: Soft gels select tumor-initiating cells. News & Views. Nature Materials 11: 662-663 (2012). Raab M, Shin JW, Discher DE. Matrix elasticity in vitro controls muscle stem cell fate in vivo. Stem Cell Research & Therapy 1: 38 (2010).